A chaplain accompanies each deployment of soldiers and supports all appointment holders and all ranks during the pre-deployment and during the mission. Fr PJ Somers CF leads a prayer service on the Golan Heights for Irish, Nepalese, Fijian, Filipino and Indian personnel of UNDOF in memory of the victims of the earthquake in Nepal. Contact with all personnel is also supported by chaplains at home in Ireland and with fellow chaplains from other nationalities serving in the Mission area. Head Chaplain Fr Seamus Madigan pictured with Fr Dan McCarthy while on a visit to the Golan Heights. 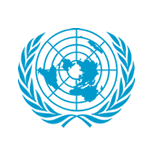 Fr Dan McCarthy CF is serving with 56 Infantry Group in the UNDOF Area of Operations since October 2017. 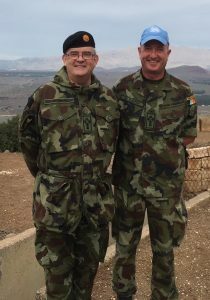 Fr Brian Whelan CF is serving with the 111 Infantry Battalion in Lebanon since November 2017. Please keep them and all personnel overseas in your prayers.